Action photography by Team photo shots. Team Photo Shots understands the importance of capturing all of your special moments. This is why we not only offer great action photography for your team or league; we also offer team and individual portraits. If your team or league is looking to make a change in your photography provider or if you’re a new league looking for great pictures, you've come to the right place. Custom designed products for each organization. Your team logo and colors may be incorporated into many of our products for a more personal look. Fast delivery of all orders (usually 4-6 weeks). FREE 8x10 Custom thank you team photo for each coach. FREE color 8x10 custom sponsor plaque. FREE Digital team photo for use on your team or leagues website. Team Sponsorship, including field signs and other fundraising opportunities. Having been involved with youth sports both as a coach and a photographer; I have the advantage of understanding the scheduling and organization of team photo day from both sides. I believe that this gives us a unique advantage in working with coaches, kids and team representatives. We take great pride in making picture day run as efficiently as possible for everyone involved. First, the day and time is scheduled far enough in advance to allow coaches and parents enough time to receive and fill out their envelopes. We also encourage photo day to be scheduled early in the season to help make sure that the photos are delivered to the teams in a timely manner. This also allows us plenty of opportunity to re-schedule teams due to bad weather or other circumstances. On picture day, I will bring an assistant who helps make sure everything stays organized. My assistant works with the coaches and parents to answer questions and provide assistance with placing orders. This allows me to concentrate on providing you with the best photography possible. Team Photo Shots will work closely with your league in scheduling all photo days and re-scheduling in case of inclement weather. Team Photo Shots will deliver photos to the team or league contact person in approximately 4-6 weeks unless other arrangements have been made. Parents are able to reorder photos at anytime after the shoot date, either on the TeamPhotoShots.com website, or by sending in the enclosed reorder form or by giving us a call. Team Photo Shots guarantees satisfaction on all photos. Questions or complaints will be handled directly by the photographer. Customers will have the choice of having the photo re-taken at our expense or their money refunded. In addition, we offer several different fundraising programs which include, but not limited to Team Sponsorship, Field signs and other programs. That way your photo day can be used as a fundraiser as well. Please call us to discuss this further at 401-640-8501. Remember, not only do we provide great team and individual portraits we also offer unique action photography for your team or league. 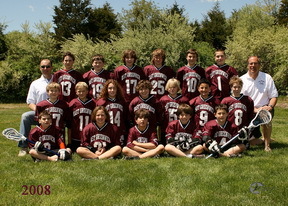 Don’t forget Team Photo Shots when scheduling your tournaments. We offer onsite viewing and printing and online archival of all your special memories. Contact us for more information and browse our website to view past events by Clicking Here. 401-640-8501, email at seth@teamphotoshots.com or click the button below to fill out our online form.